Spine-tingling paranormal mysteries! What with poltergeists, vampires, werewolves and curses all creeping up on you, will you make it through this pack without having to bite back your screams? 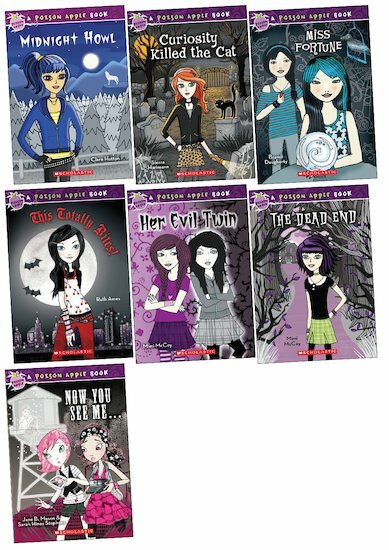 Seven sassy yet spooky stories in which our feisty heroines tackle curses, mean-girl vampires and haunted houses. All without wrecking their hairdos. Funny, feisty, frightening. And full of Gothic doom to boot. Spine-tingling paranormal mysteries! What with poltergeists, vampires, werewolves and curses all creeping up on you, will you manage to read these tales without biting back screams? Curiosity killed the cat, but are you brave enough to peer between the jaws of the seven seriously scary stories contained in this pack? Only the most courageous of readers will be able to handle the horror of titles such as Her Evil Twin and Now You See Me.